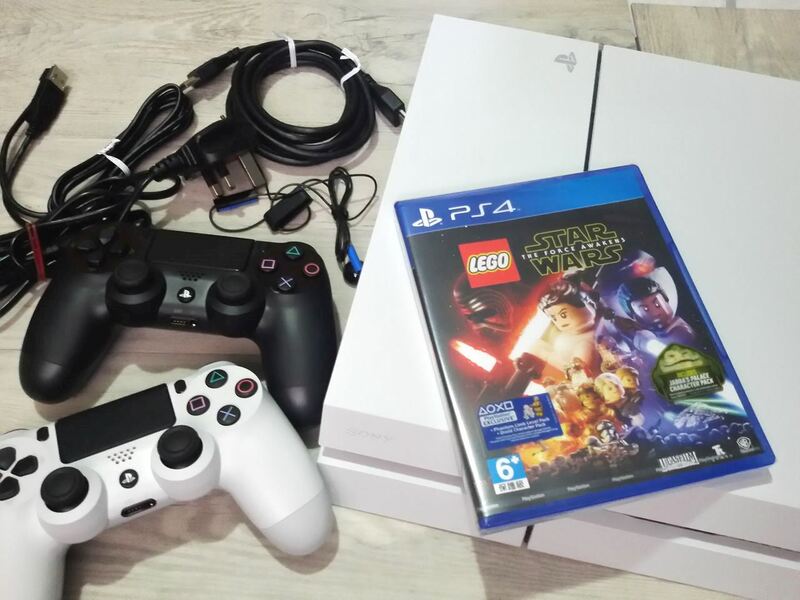 If you are a fan of LEGO and the movie Star Wars like our family, then you'd be happy to know that LEGO® Star Wars™: The Force Awakens™ game is now on PlayStation®4! 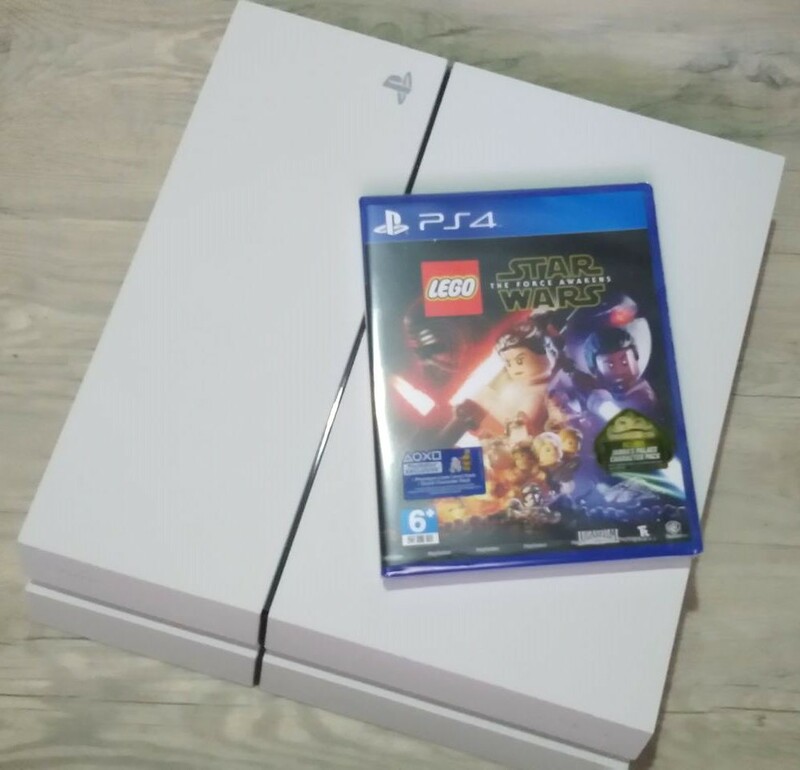 I would know because we are fans of both LEGO and Star Wars and we were giddy excited about this news from Sony PlayStation! We tried it last weekend and I'm now sharing with you highlights of the game, our experience playing it, and the things we like about it. Our new PlayStation®4 came with all these awesome parts! 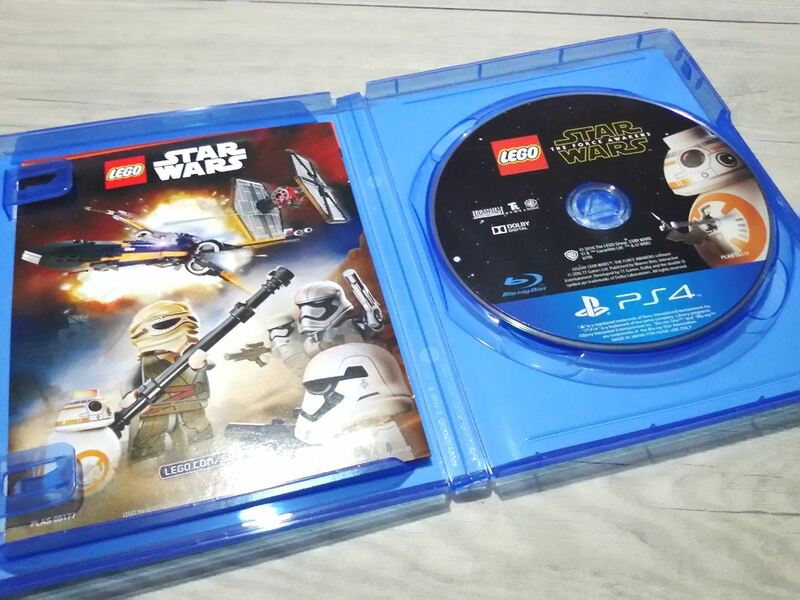 The PlayStation®4 game console with the LEGO® Star Wars™: The Force Awakens™ game disc. 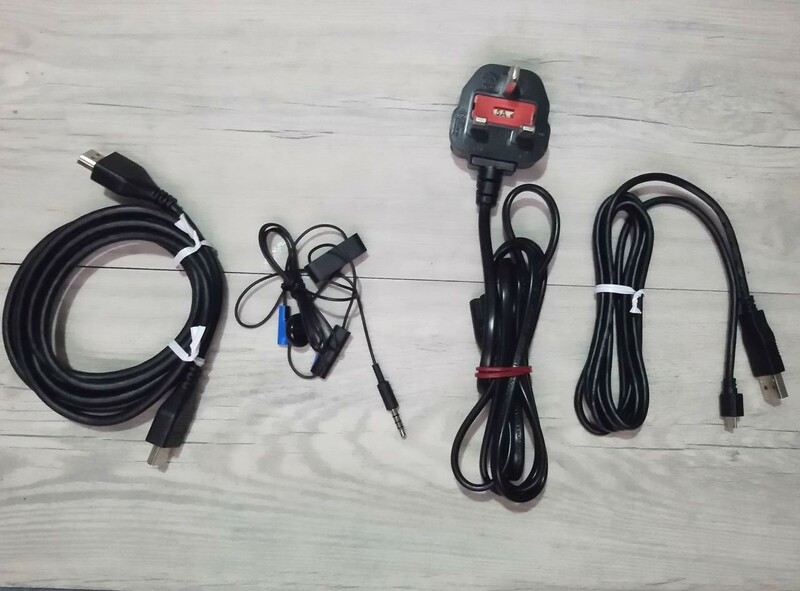 and USB cord for the controllers. I always advice fellow parents that use of gadgets and game consoles by kids should be regulated. At home, our kids use them only on weekends and after doing their assignments. So they were jumping for joy when I announced we have a new game to play and on a PlayStation®4. Let me tell you about our love for LEGO. I'm challenged building LEGO sets and I enjoy making something out of small bricks. My dear Wes is such a LEGO fan. His toy boxes are 60% LEGO bricks and characters which he plays with on a daily basis. 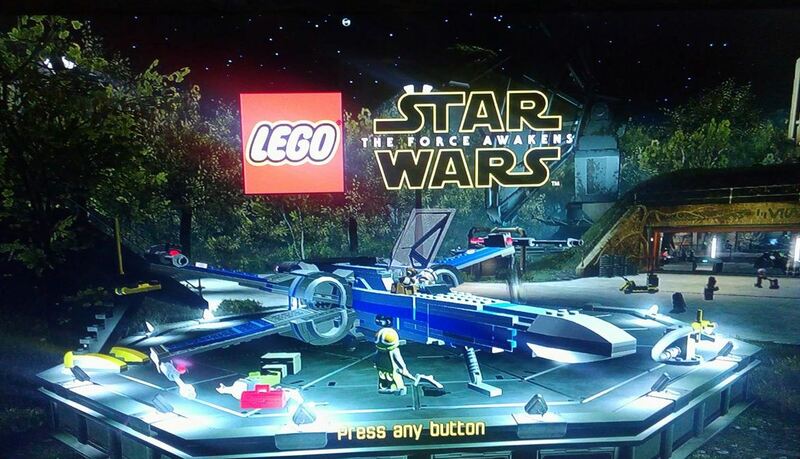 So there's no need for transitioning to the PlayStation LEGO game because the love for LEGO is already established. Loving the game is but natural. 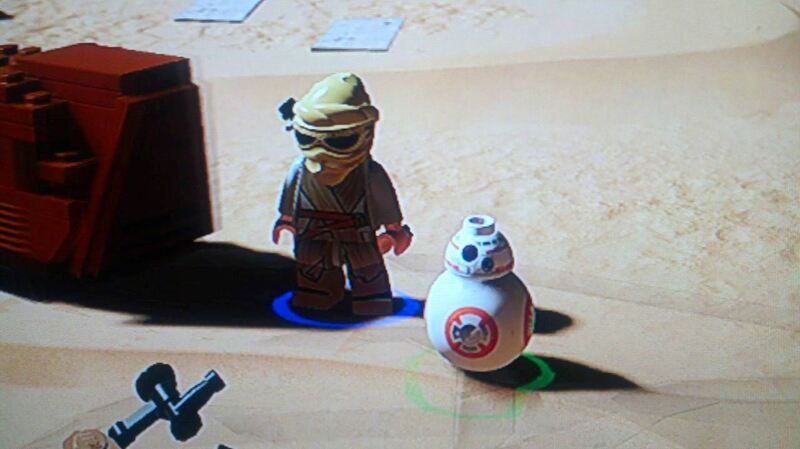 When we started the LEGO® Star Wars™: The Force Awakens™ game, we were expecting it to begin as how the movie started. But surprisingly, it begins 30 years earlier – at the Battle of Endor. Most part of the game reflects the story from the movie The Force Awakens. LEGO has always been brilliant when it comes to LEGO-fying a movie or a character. So fans of the movie but not of the game will be thrilled to know that the movie's story is retold brilliantly through a LEGO lens. 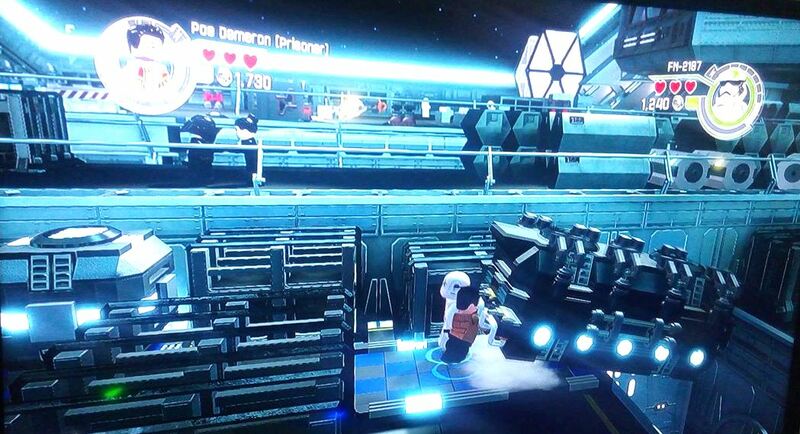 LEGO Star Wars: The Force Awakens is a witty, funny, challenging, and entertaining game for the family! Anyway, this is not the first LEGO game my kids had played. My little one's first LEGO game was of The LEGO Movie. 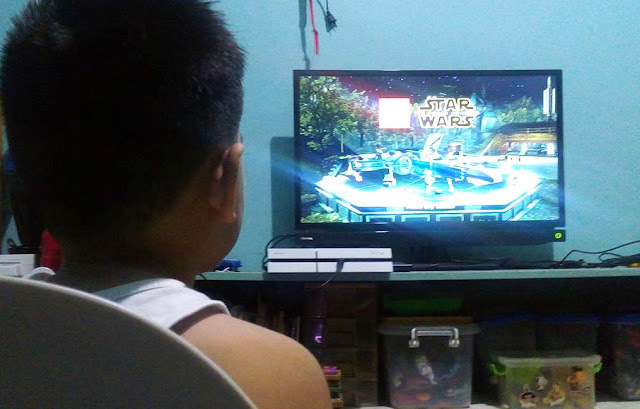 So when he played LEGO Star Wars game, he's quite familiar with it already. Elements such as mini-builds, collecting coins, a lot of characters, vehicles and collectibles, and the funny voice overs as well, which by the way, were actual dialogues from the movie! Not only that, the voice overs were recorded by the actors themselves giving this game its A1 authenticity and awesome gaming experience. Imagine how the game takes you to the movie dimension just hearing Harrison Ford's voice (of course as Hans Solo), Daisy Ridley, John Boyega, Adam Driver, Carrie Fisher and many more! Characters Rey and BB-8 played here by my sons Dandre and Wes. 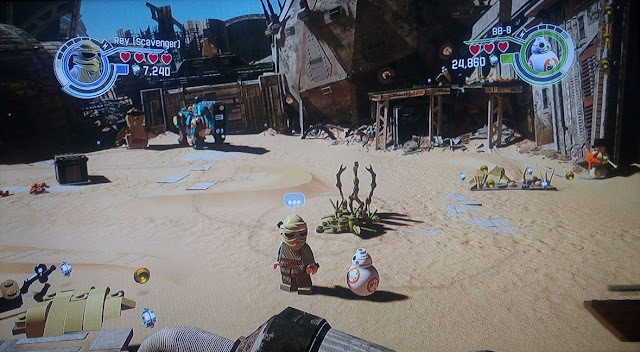 What made the game a lot more exciting were inclusions of characters or story elements like Chewbacca and Han Solo hunting the rathtars, Rey, Finn, Poe Dameron, C-3PO and BB-8 (my son's favorite! ), as well as Kylo Ren, General Hux, Captain Phasmabut. Jakku and Starkiller Base. As a mom, I appreciate it that the screen splits in 2-player mode. It gives an opportunity for the brothers to bond, for parents to teach their child about the game or values on game etiquette. I particularly appreciate the screen split feature for two players, a good way to teach the younger one how to play. An opportunity to encourage teaching, learning, and bonding between players in the family or between friends. We like the game controllers. It's easy to use, not too bulky for little hands to handle, and it also look really cool because of its blue light, which according to my 5 year old son looks like a space ship. 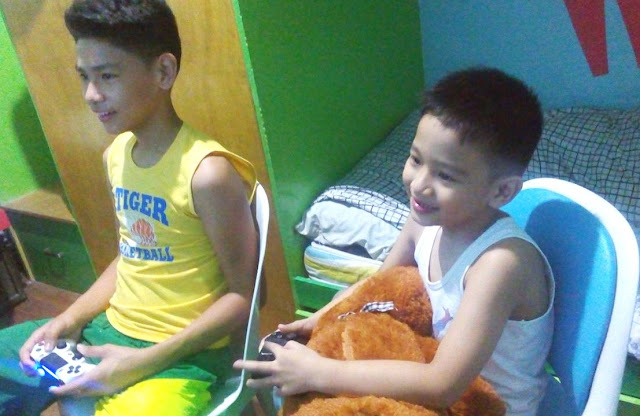 Kuya Dandre and Wes having fun playing LEGO Star Wars game on PlayStation4. The LEGO game tells the main story of the movie but also has a way of giving it its unique touch. It's humorous, wholesome, kid-safe, and family friendly. It has no "gameovers" which is a feature younger children would highly appreciate. Build... and Rebuild – Through the enhanced Multi-Builds system, players must choose from multiple building options – to puzzle solve, or just for fun – all advancing the game in different ways. More “Intelligence” in A.I. 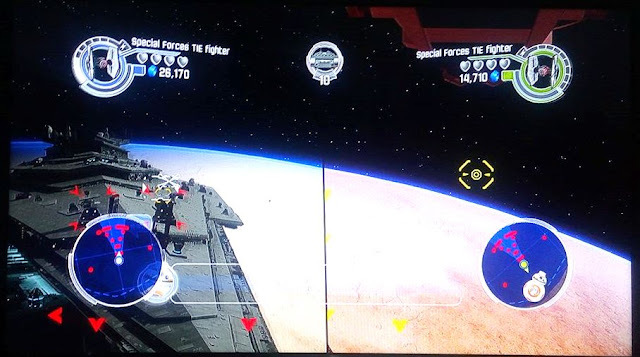 – Enemy fighters can now build using LEGO bricks to support their fellow Stormtroopers, calling in air support, reinforcements or heavy artillery – taking the fight to the Resistance with the power of LEGO! The LEGO® Star Wars™: The Force Awakens™ game on Playstation®4 (also available on PlayStation®3, PlayStation®Vita) is an action-adventure game genre released last June 28 by Warner Bros. Interactive Entertainment. It's recommendable to families (split screen provides bonding time while playing), LEGO fans (enjoy the brick movie characters with its witty and funny dialogues), Star Wars fans (see the movie's story line as well as exclusive story content through LEGO lens), casual gamers like us, and even experienced gamers too. Don't let the rainy season dampen your playful spirit. Let your family bonding begin at home with The LEGO® Star Wars™: The Force Awakens™ game on Sony Playstation®4 today.